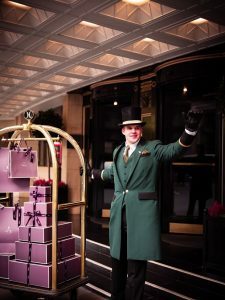 Dorchester Collection’s iconic Mayfair hotel, The Dorchester, opens luxury boutique ‘Asprey at The Dorchester’ today, for a three month pop-up over the festive season. Especially for the partnership, guests of The Dorchester will be gifted with complimentary embossing and engraving via Asprey’s flagship store close by on New Bond Street. Celebrating a shared history of excellence in British luxury, and an ethos of unrivalled quality and design, the pop-up presents an edit of festive such as the traditional Asprey Cracker, Autumn Winter 2018 handbag collection, iconic barware pieces including the Rocket shaker and the new jewellery collection, Cosmic. 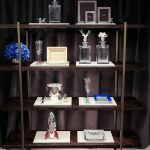 Asprey at The Dorchester follows the celebration of Asprey’s 20-year anniversary at Dorchester Collection’s Beverly Hills Hotel this year, which saw the launch of a handbag collection aptly named the Beverly Hills Collection. Established in 1781 Asprey is one of the first British luxury brands in the world, specialising in the finest jewellery, timepieces, leather, silver, china and crystal. Asprey London, established in 1781, creates handmade luxury goods of the highest quality, unrivalled craftsmanship and innovative design. The collections include; fine jewellery, rare coloured diamonds, leather, silver, china, crystal and timepieces. Dorchester Collection is a portfolio of the world’s foremost luxury hotels in Europe and the US, each of which reflects the distinctive culture of its destination. By applying its unrivalled experience and capability in owning and operating some of the greatest individual hotels, the company’s mission is to develop an impeccable group of the finest landmark hotels through acquisition as well as management of wholly-owned and part-owned hotels, and to enter into management agreements.